This is one of the most common questions that we field not only in person, on our Facebook page, but on our website contact form too. “How did Crayster start?, ” What made you decide to do Crayster?,” and “Where does Crayster come from?” All great questions that require a little bit of history lesson. Jake is showing off one of his 1st Crawfish that he caught. He was quite proud. It all started when Mike, an avid fisherman, took his family to the coast for a family reunion. While at the coast, Mike took his son Jake who was about five out on a family excursion to catch crabs off of a dock. 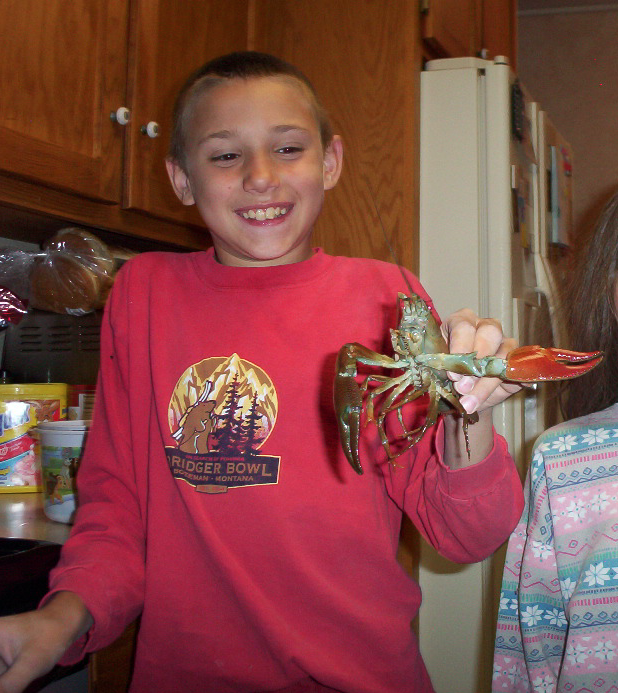 This was the first time Jake had fished on the ocean or caught crabs. They had an amazing day of catching many legal-sized crabs. Jake and Mike went back to the reunion where they had a great crab feast. Jake could not stop talking about the day’s experience well into the evening. Fast forward two weeks, Mike’s family was back home in Idaho twelve hours inland from the ocean. Jake could not stop talking about how cool crabs were and how he wanted to go crabbing again. Mike wanted to go too, but it was way too far to get to the coast. Mike started thinking, what could we do at home that would be like crabbing. Then, he remembered growing up in Oregon where his dad took him crawfishing. He remembered that it was a lot of fun and much like crabbing. Mike called Idaho Fish and Game and asked if there was anywhere around the local area to catch crawfish. A nice man at Fish and Game said, “There are lots of crawfish in our area, but few people fish for them.” Mike told Jake that night that there were crawfish in our area that were like little lobsters or much like crabs. Mike told Jake the details of crawfishing. Jake was so excited to go on their new adventure. They went to the local sporting goods store and bought four cylinder crawfishing traps. They went out and bought rope, got some chicken for bait and headed towards a reservoir Fish and Game recommended in search of crawfish. That day they felt they had great success. They caught about a dozen medium sized crawfish about one or two per trap in about an hours soak each. Then, went home and cooked them up. They were delicious. They tasted like little lobsters. Jake and Mike were thrilled. Many trips later, they went out at night. They put their traps out in about five feet of water off of the shore. They shined the flashlight on one of the traps and to their amazement there was a big lobster-sized crawfish walking on the trap. It was trying to get into the trap. It could not even get its claws through the opening to get inside. Jake jumped up and down and was yelling, “Dad, I want to catch that one”. To their disappointment the gear was not adequate to catch the large crawfish. Jake left wishing they could have caught the big one. The next day, Jake was adamant that they needed to get different gear, so they could catch big crawfish. So, they ordered a few different type of traps off of the internet, some were quite expensive. When they arrived they didn’t look like they would do much better. But wait, maybe they could modify them for their purposes. To make a long story short. None of them worked the way they wanted them to. At the lake, they ran into other crawfishermen who would tell stories of huge crawfish and how they would spot them, but rarely caught them because they could not fit into the traps. With Mike’s son looking up at him with frustration, Jake said, “Dad, you know what we have to do, we need to make our own traps.” Mike thinking that sounded like a lot of work paused, then looked at his son and said, “Ok, we will make our own traps.” The first thing they talked about was how they would make a trap to catch huge crawfish other traps could not catch. Other traps seemed difficult to use, let’s make them easy to use. Let’s make the bait last longer. Let’s make the crawfish we catch easier to get out once we catch them. Let’s color our traps like mud and see if we can catch more in the day. Let’s make them stronger, tougher and sink straight. They went down a father and son path that was amazing and inventive. They started from scratch. Not with other’s ideas, but purely what they wanted the trap to accomplish. They built a few traps and tried them out. They started having a lot more success. It was like Mike and Jake were trying to make the fastest pinewood derby car, but they were the only ones racing. No one seemed to care about better crawfish traps. Finally, one day they had perfected an amazing trap. It was easy to use, the crawfish got trapped in the traps fast, catching decent numbers of crawfish in the day, and most of all they were catching huge crawfish easily. Mike and his family took a trip to Montana to see his parents. Mike and Jake took one of their newly built traps to show Grandpa. Grandpa was amazed when he saw the trap. Mike’s dad (Grandpa) who had caught a fair number of crawfish in his life said, “This is amazing where did you buy it”. Mike and Jake told him that they had made it. He did not believe them at first, it looked so professional. Once Jake and Mike convinced him they had made it. He then said, “It’s so unique you should patent it.” And they did. After many years of patenting the United States government rewarded them with a patent based on its new design, being much more effective than other traps on the market, and overall originality. While they were patent pending, Mike’s hunting buddy Ash said, “Let’s do a crawfishing trip and put it up on Youtube.” They did. 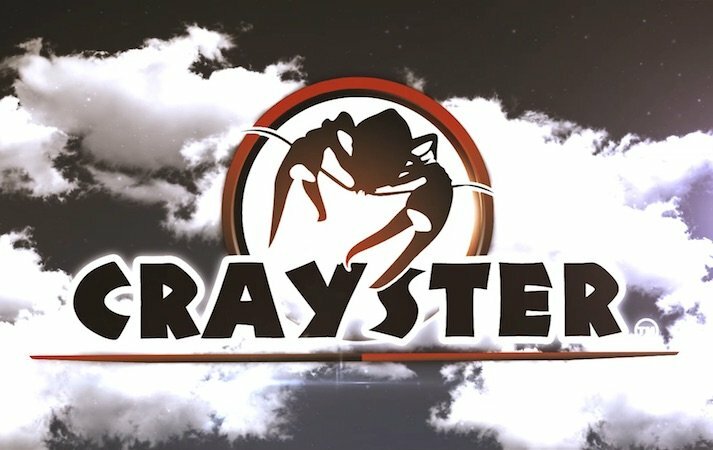 They called their channel Crayster (a name Grandpa came up with meaning a crayfish and lobster combined or big crawfish). People enjoyed watching and corresponding with the Crayster channel and it grew in popularity. To this day Mike and Jake and a team of field researchers all over the country still love crawfishing and being outdoors. Mike and Jake still have fishing innovation in their blood. They have come up with many improvements in crawfishing that you will see in the future. Overall this was a story of a kid and his dad solving issues and having a great time living the dream outdoors. Jake and Mike truly love fishing and have been appreciating all of the time they have spent together. Their invention has allowed them to meet a lot of people and make many new friends. 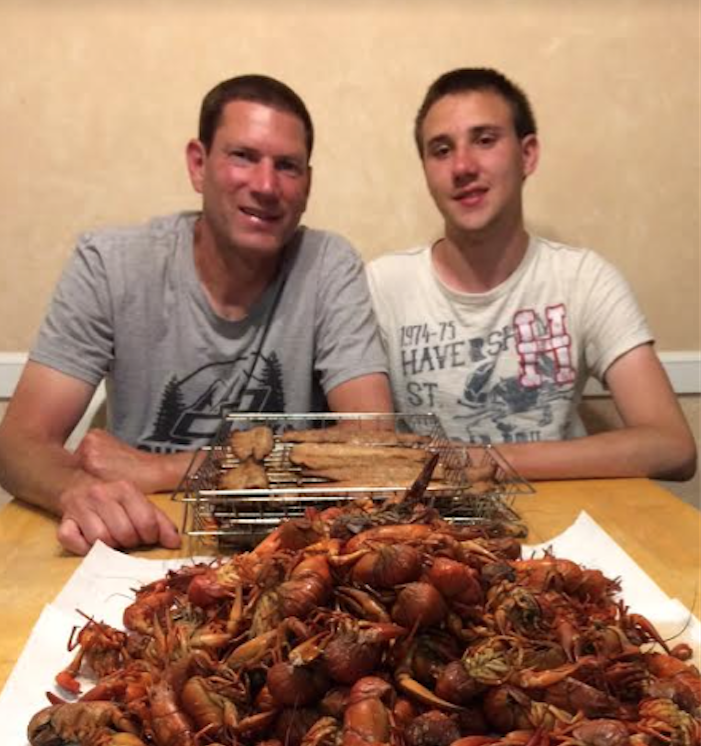 With their perseverance and efforts they have become leaders and forerunners in crawfish trapping and techniques. They are still having amazing father son adventures and rest assured there will be more to come! To see more about our Crayster team, check out our information on the Team Crayster page. Catch ya later! When will your cylinder traps be going up for sale? I seem to have better luck with my cylinder traps and would like to by some of yours and put them against mine. Thank you for the videos. My family and I enjoy trapping crayfish here in Michigan. Spending time in nature with my family, doesn’t get much better than that. Thanks again for the tips and tricks you put out for us on your videos. We are hoping to have the cylinders for sale on Amazon with in a month. 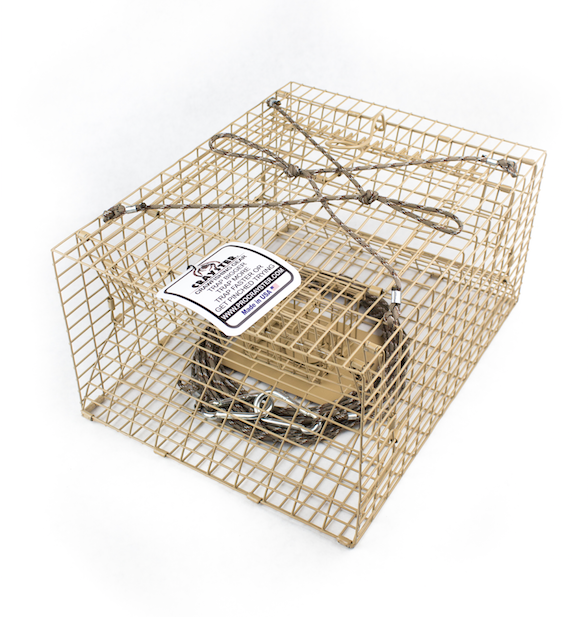 Also our Lake trap is not anything like other square traps, you may want to give one of those a try also. They are highly effective.